Kardie Equipment believes in the safety of our employees, customers and job space above all. 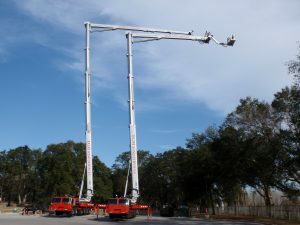 Already the industry leader in high elevated work platforms, we have also pushed ourselves to be the industry leader in the highest level of safety. We promote, train and continuously encourage safety first. We have pushed our company to strive for continuous improvement year after year. Kardie Equipment maintains one of the highest safety records and EMR ratings within our industry and we work hard every day to ensure this culture continues to be at the forefront of all that we do.